I DID IT! I made my first shirt! 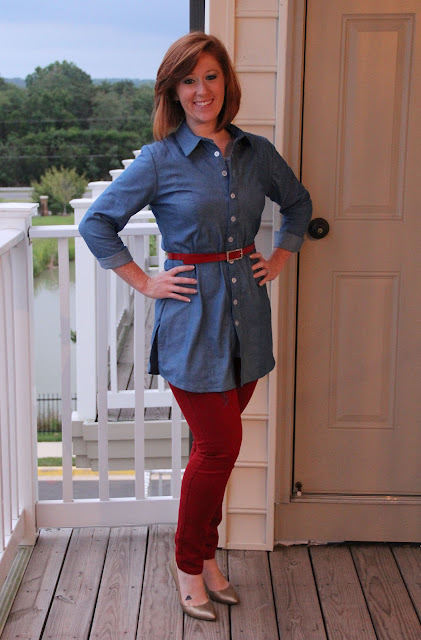 A few weeks ago I decided I was going to make a chambray shirt (I don't understand why we refuse to call it what it is....a denim shirt) There I said it....someone had to. Ok moving on. This new style of shirt (call it what you like, denim or chambray) can be found in nearly every clothing store this season. After trying on at least half a dozen shirts and not finding one worthy enough to add to my wardrobe, I decided to make one! The first step was to find the right fabric and pattern. As you may have seen in my previous sewing posts, that can be the hardest part. With these two important selections made,it was time to get busy! All the pieces needed for the shirt are laid out above. It didn't seem like that many pieces, this couldn't be too difficult right? Wrong! One major factor I did not take in to account when tackling this project was missing my translator. Who would translate the directions into "dummy speak" for me?! Without mom, I was left with the second best thing, Milo. Ok, no help at all! Enough, no more cat pics for the remainder of this post. 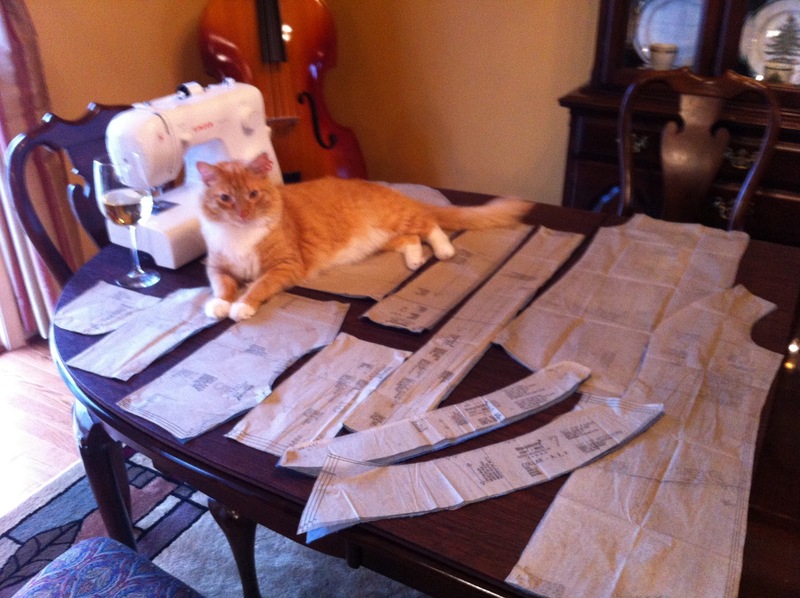 I'm not going to bore you with the step by step commentary of making a shirt. The important part is it's done AND wearable! In fact, let me share with you how I plan to wear it in the coming months! You will notice I made it super long so I could wear it with tights, leggings, and skinny jeans without showing the world my goodies. You're welcome for that. That's the beauty of making something yourself, you can tailor it however you like! 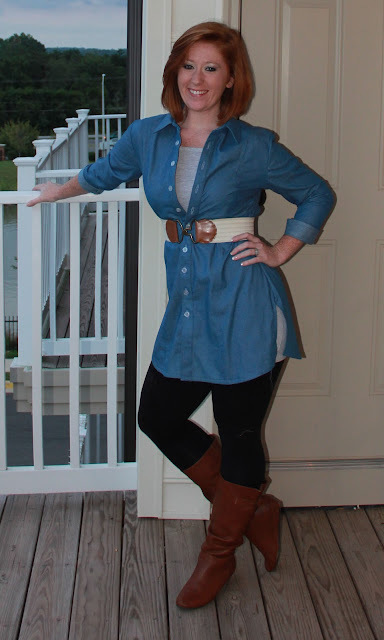 I thought this would be a fun date night outfit. Cute and casual. I think it needs an infinity scarf to complete the look. How are you going to wear this awesome "new" (I refuse succumb to the idea that this is new considering we all owned denim shirts in the 90s) trend?! OH MY GOSH. this is amazing. i can't sew. YOU. YOU ARE AMAZING. you look gorgeous!! 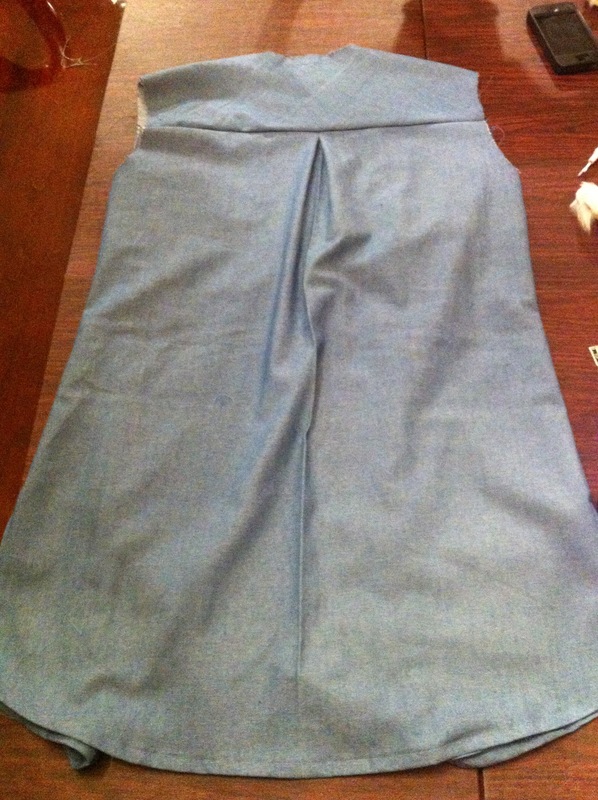 wow oh wow you are a wizard on the sewing machine!! 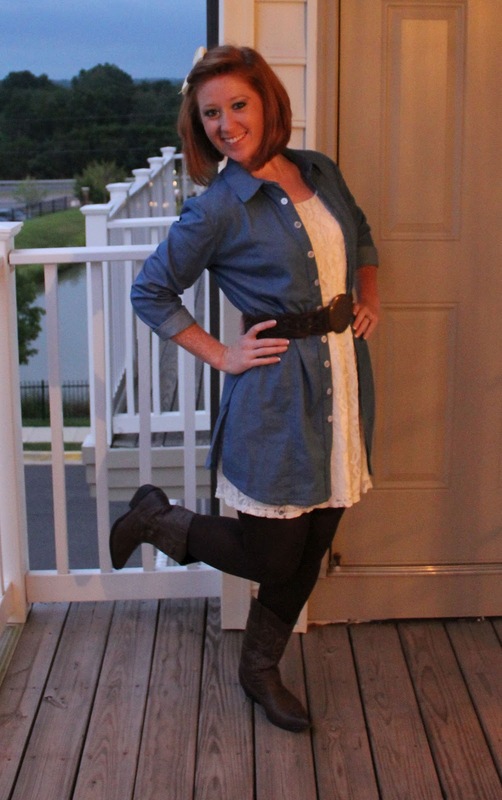 the shirt turned out great and i love how you made it a bit longer and the two different ways you styled it! Woo! Your top looks great! I never understood why it's called a chambray shirt. 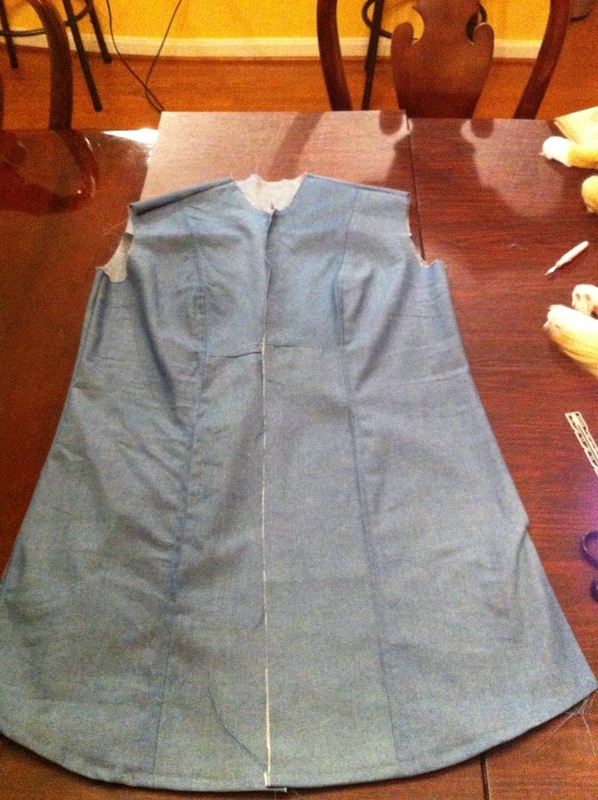 I want to work my way up to sewing clothing, but for now stick to the straight lines of quilting. If you didn't just tell me you made this shirt, I never would have known. It looks great. Your 'chambray' denim shirt looks great! 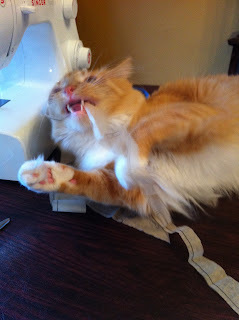 I am learning how to sew from my mom so I may have to get me some fabric to make my own shirt!! I love all the ways you posted to wear it. I actually have a belt close to the last one!! SOOOOO CUTE!!! I have been trying to find a denim shirt that length! Visiting from the Link Up with The Pleated Poppy..